Do your monthly energy bills seem too high? Are there areas of your home that are noticeably more uncomfortable than others? The home energy experts at Dave Hoh's Home Comfort & Energy Experts can help. We combine the skills and expertise to fix any home energy issue. As an authorized Dr. Energy Saver dealer, our team of professionals undergoes continuous training to help us remain the leader in the home energy industry. At Dave Hoh's Home Comfort & Energy Experts we understand that a home's maximum energy efficiency is a not achieved from one service alone. So because of this, we offer a variety of HVAC, insulation, air sealing and energy solutions that work in conjunction to improve the overall energy efficiency of your home. We serve Holmdel, Colts Neck, Rumson, Middletown, Howell, Brick, Manasquan and surrounding towns in New Jersey. Contact us today for a FREE no-obligation home energy services quote. Insulation from Dr. Energy Saver will make your home more comfortable and energy efficient. We offer eco-friendly and state-of-the-art solar energy solutions that save you money. Our complete home energy audit ensures you get the right solutions for your home. Upgrading your water heater can help improve your home's energy efficiency and save you money on utility costs. Since 2007, Dave Hoh's Home Comfort & Energy Experts has provided proven, reliable home energy and insulation services. We are a proud member of the Dr. Energy Saver network as well as an accredited Building Performance Institute (BPI) contractor. Our team goes through continuous training to ensure we are up to date on all modern home energy technology and repair methodology. Our experience and access to the best products in the industry allows us to improve the overall comfort of your home with minimal hassle. Our proven home insulation and energy improvement services will make an immediate impact in your home that will last. Between creating a more comfortable environment and helping you save money each month, it's easy to see why Dave Hoh's Home Comfort & Energy Experts is the preferred contractor of the Jersey Shore. We serve homeowners in Holmdel, Colts Neck, Rumson, Middletown, Howell, Brick, Manasquan, and all surrounding areas. "will be calling about ac insulation. 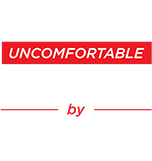 We were recomended by..."
We fix uncomfortable homes! As the Jersey Shore's leading home energy solutions contractor, we take great pride in our service, and our customers have been happy with the results. We have helped hundreds of homeowners in New Jersey create more comfortable living spaces using our proven Insulation, air sealing, and HVAC solutions. Our wide array of services such as air sealing, heating and air conditioning, furnace repair, ice dam prevention, and much more, allows us to easily come up with a comprehensive plan to improve your home's current energy inefficiencies. Contact us today to learn more!